Every year when 15th August approaches, words fail me when I see social media getting flooded with those moral outbursts, rather pseudo-moral outbursts laden articles. Get up and be free, come out of the shackles of societal pressures and follow your heart, India is independent but are you? – they all shout out loud. 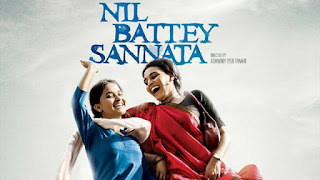 Even the entertainment media, mostly the movie channels showcases their freedom spirit via switching the movie genre to the kind of films like Rang De Bsant, Bhagat Singh, Roja, Lakhshya to name a few. 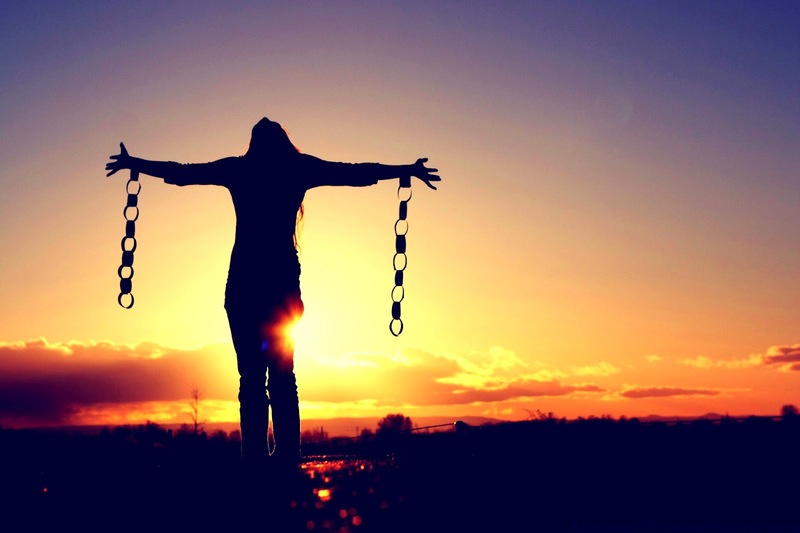 On top of all these heavy messages, the confusion between being independent and being free comes as the icing on the cake. All these are a nine-day wonder and people live in a cloud-cuckoo-land, for a short while though, thinking they will move mountains, quit their current “caught-up-in-a-wrong-profession” situation and take up their dreams of becoming the second M.F.Hussain or Shahrukh Khan or break-free from a relationship that they have themselves approved of earlier. After a week or so the overpowering feeling of responsibility, regular life intricacies and remaking peace with the normalcy of the ongoing life resumes its power and is dominant enough to kick off the flight of fancy, the “kuch karna hai, kuch badalna hai” wala sudden emotion vaporizes in a blink of an eye. But what has hit me over a couple of years now is that all these are about our own independence and freedom. Whatever the feeling is, it is strictly to ourselves! We don’t, for even a moment, think about the independence about anyone else in the world but ourselves. And even I have matured over these years and have started understanding as well as accepting life and its various aspects from different people’s perspective, I haven’t done anything beyond that. I haven’t tried to touch another life and make it independent who is not even aware he/she badly need it. And my heart aches at the very feeling that I am so full of myself. We are so full of ourselves! We seldom think in this way until and unless an article or a movie shows up which enforces such a feeling, that too for their own interests – more and more subscriptions, likes, publicity and box office records. Even if we are quite independent as far as our though process is concerned, this very feeling of making one life independent doesn’t occur to us. 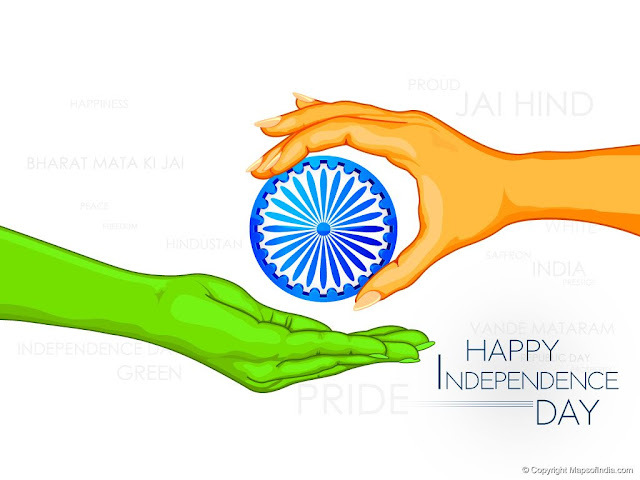 This Independence day reach out to those who needs our love and concern so that they can become independent. 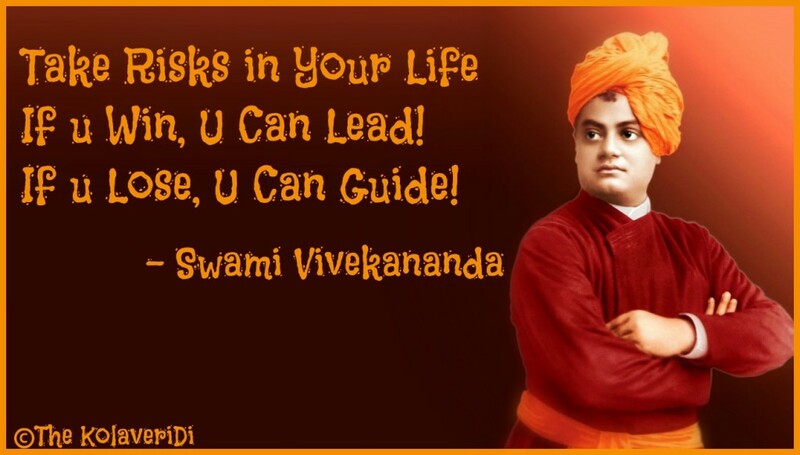 It can be in any form – help in getting an unprivileged child educated by teaching him or providing your left over exercise books or cutting down on your pizzas to buy him text books; help in getting somebody a job if you can refer him to your contacts; endorse a newly self-made entrepreneur who is struggling hard to make it to a living. It can be in any form that you feel right. You define for yourself. I have already chosen my way of bringing the joy of independence in someone’s life. Feel free to choose yours. HAPPY INDEPENDENCE DAY TO YOU AND TO THE PERSON WHO IS A FEW STEPS AWAY TO BECOME INDEPENDENT. 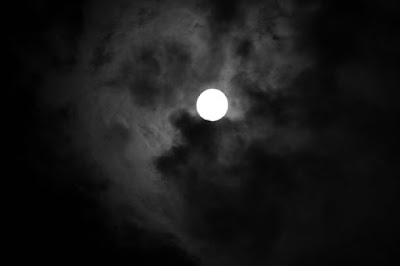 I have always loved the nights more than the day times..May be because of this unique character of darkness that keeps all your secrets safe and locked. It does not judge you..It does not question you why are you the way you are? It’s like my best friend, even more than a best friend. A best friend can still ditch you at times but the darkness doesn’t even know what does that mean. All it has got is acceptance and no denial..I hate the day times much more than I love the nights..It stares at me as if I am worthless..It makes me nervous about accepting my own self. The brutally judgmental light peeps into my conscience and tries to stir up my whole existence..The confidence that I gain from darkness is left shattered in the daytime..That’s why I don’t even like waking up in the mornings and all I do is cursing the normalcy of the sleep cycle..I hate that from the core of my heart..Perhaps I am the only person in this world who wants the entire span of 24 hours to be immersed in the serene darkness and make the light jobless. Even love seems to be an ephemeral feeling that would stay forever in the darkness of the nights…Not even for an instance does it let the truth pop out that it would stay as long as the darkness prevails, that it is short-lived. Yes we do live in the this illusion of love-is-forever and nothing-can-change-our-love…and the darkness enhances that feeling altogether..rather it takes utmost care that our faith in these bookish and filmy illustrations of love remains intact…but how helpless it becomes when at dawn it has to bid goodbye to make space for light, who has got ideologies that are polar opposites?.. but still it leaves with a faint smile only to come back to restore the feelings which it knows would be knocked down by light…Who better than darkness knows what is the pain of loving someone in spite of knowing it will never be able to get united with that someone???? No one does and whenever my love life depresses and frustrates me I feel its agony and find mine much less compared to that. I calm down. I will always owe a lot to it..It will be my friend. It will be my guiding star. I know it will always come to my rescue. It is designed like that, to come back to me with all the hopes and above all to give illusions a real existence. My latest story..Find out how Rhea made her 30th Birthday special..Published on Soulgasm..
Few more hours to go before Rhea would turn 30 and she was concerned. “30” hits you hard you know. Suddenly you are out of the “youngistan” league and can’t even tell people that you are in your late 20’s. Even if you feel young inside, crazy aunties and the sarcastic world around you will make you feel as if it’s end of life; as if you are the only one who has turned 30 for the first time ever and you have nothing left to achieve. Suddenly the “womanish” attitude overshadows the “girly” streaks in you, psychologically though, and you are ready to be another replica of your mom, masi or any other boring, “gyan showering” oldie!! But these were not what bothered Rhea. She has never been affected by superficial factors like “getting aged”, “getting fat”, “having pimples” and bla bla bla! The only thing that was eating her up from within was the fact that “turning 30” meant half a life spent. Even worse, “half a life spent living on other people’s terms”. “It’s time to reconcile my real self with reality, my existence”, Rhea’s inner voice told her as she was waiting at the station to catch her train to Delhi for a teachers’ training programme. She has been going for these monotonous duty trips for the past 5-6 years but still couldn’t develop a mere liking for them. But this time it was not just boredom that irked her. Her constant fidgeting with her earrings, hair and other silly little things indicated towards something beyond her normal dislike. She reopened her mailbox. In the last five days she has browsed her Gmail account a number of times that anyone wouldn’t be able to do in even a month! Reason being a particular mail that acted as an uninvited trigger; something which had the potential of being her life changer. It was a mail from Shaimak Davar Dance Institute calling her for an audition for a paid internship position. Her repeated mails to them with attached dance videos, secretly taken at everyone’s absence, were finally answered after years. And unknowingly, the mail acted as a huge perturbation in her otherwise commoner’s life. It was a “Karma vs Dharma” situation for her and it pulled out all the naked emotions, frustrations and complaints that were carefully suppressed so far. For the last few days she gave her neurons enough stress thinking over whether to be happy or sad for receiving the offer. Happy, as her “secret passion for dance” saw the light of the day and sad, as she may not even pursue it further. But the almighty had plans for making Rhea’s 30th Birthday special! She opened her mailbox, but this time to compose the most bold and controversial mail she has ever written. For she felt it was important to let her closed ones know that she was going to step into the forbidden land where except her own terms and conditions, everything else was blurred! Statutory warning: I am going to sound paradoxical; so both of you, before reading this mail, please pull yourselves together!! You have been a loving father but only then, when I have followed your instructions religiously. Your typical “sarkari babu” type attitude has always scared both Ma and me to death. It was all fear for you and not respect that made me obey you. You never realized that having friendly conversations with you would have made me more content than your lavish materialistic gifts (more of a show off for me though!). You made me do all that you wanted to, but couldn’t achieve in your life. In the whole process you forgot that I was not you but a different individual. I didn’t like taking singing and art classes, felt suicidal when I had to take up science at higher secondary school level and have got bored to death while teaching my students fake ideologies that I myself don’t believe in. All I wanted to do was to learn dancing and pursue it as a profession as well. When I gathered courage to confront you about my passion, you married me off to even a bigger control freak entity, Pradeep. You checked his job security, character certificate, salary slip, family background but forgot the most important thing Papa. You didn’t even care to check his compatibility with me. Rather it must not have occurred to you at all. To cut all these short, you have failed as a father and I am sorry that I had to break your heart like this. This was important. From the above revelation you must have understood by now, that I am not at all happy with you. First and foremost, I am not at all a “Sati Savitri” type girl that you think me to be. If you ever cared to be friends with me, at least you would have known the real me. Please accept my apologies for faking it with you till now, but I had no choice. I tried a lot but just couldn’t grow an iota of feelings for you. All this while both you and I have only given importance to your feelings, your needs, your family (still YOUR FAMILY as you people couldn’t make me feel otherwise). There was only “you” in the relationship and not us. You can never own me and thus don’t waste your energy in doing so. I have always neglected my emotional and materialistic needs just for the sake of keeping peace in our marriage and lives. But I realized that I was being highly wrong as it was not only my responsibility but yours as well. You have been more of a dictator than a husband and our marriage is a failed one, needless to say!!! I know both of you are shocked and may be hurt too. But I don’t care anymore. Till today I have bottled up my feelings; but today, my 30th birthday, seems to be the perfect day for getting things out of my system. You must be having one question in mind that what led me to come out of my shell?! I strongly believe it has been scripted like this. I have been secretly going to dance classes all this while and have got an opportunity to pursue my dreams of making it big. To your dismay, I am heading towards that. This is for your info and your consent is just not needed anymore. You might be thinking that I have lost it completely and I don’t even want to reason with you two; as I know it will fall on deaf ears. I really hope both of you can cope up with this unexpected situation of losing control over me. She signed out from her Gmail account and the station too. With a newly found freedom, courage and self-confidence, she headed towards the airport to take the next flight to the city of her dreams, Mumbai. Her inner voice: But what about your inner peace?? Haven’t you hurt yourself the most in doing so? Her inner voice: You have taken the easy path of obeying others so far. All you have been is unhappy. Isn’t it worth to follow your heart, however tough that is, and be happy? She knew it was going to be a difficult path for her, but she was all game for it; for, it was the first time that her heart and mind were in sync. She took 30 long years to make this happen. “How is your daughter doing Mrs. Saha? She is in Delhi I guess after her marriage”, asked Mr. Sudip, a typical “ever so curious about other people’s lives” Bengali, my mother’s next door neighbor. “Oh! She is doing absolutely fine! She is doing PhD that too at a prime institute. Not everyone has the acumen of doing a PhD you know”, boasted Mrs. Saha, a typical doting Bengali mother who knows well to give it back to species like Mr. Sudip. Yes our parents, friends and all the well-wishers, somewhere down the line, are all similar in their attitude towards “PhD”. To them a doctorate degree earned by us gives them more pleasure and pride than earning big bucks in financial banking. “You get respect in the society” is what they have to say to But doing PhD is just not a cakewalk; rather it is having a walk on the bed of thorns. Before one realizes, years pass by, hair turns grey, sound sleep divorces you and you have turned into a frustrated blabberer. The trick is to know how you can avoid them. Let’s have a quick look at some of the mantras to sail through your PhD and retain the most important aspect of life, peace of mind! Enjoy reading and do give your feedback in the comments section!! 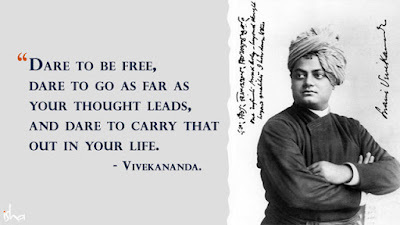 Happy Birthday to the man who was ahead of his time in all respect, who is the father of "giving inspiration to the human race" and who hasn't left any inspirational quote to be invented by his future generations. 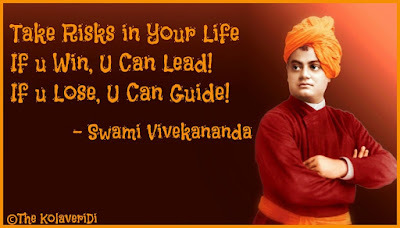 Whatever quotes we read today are all, in some way or the other, derived from the masterpieces that he has left for us long back. 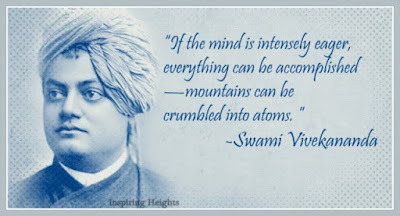 Happy Birthday to Swami Vivekananda!! I feel proud to be born and brought up at a place that he hailed from..
To me he acts like a sink for all my demotivation and miseries. I have found a quote written by him for every situation that I have faced so far. His understanding of life affairs is the ultimate source of whatever little sensibilities and maturity that I have developed. 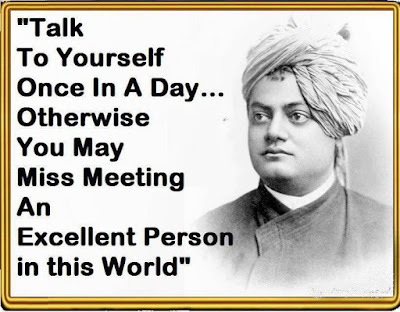 I am sharing my most favorite quotes, gifted to us by him, that have truly motivated me and kept me going..